Burrows Ridge, a community on 42 acres, featuring 14 homes surrounded by 26 acres of protected open space. 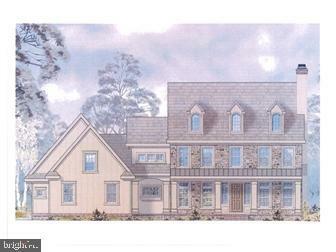 The homes are being built by award winning Bancroft Homes, a premier builder who specializes in custom homes. The Fairville Model features an open floor plan and oversized windows that take advantage of the panoramic views. The kitchen includes hardwood floors and granite counter tops. The home offers maintenance free exteriors and energy efficient systems. Last lot available in this beautiful community!